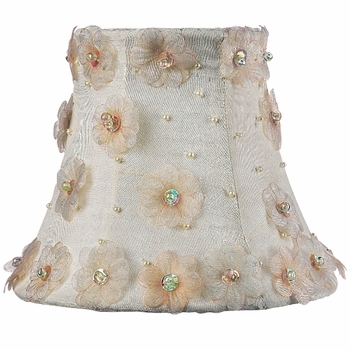 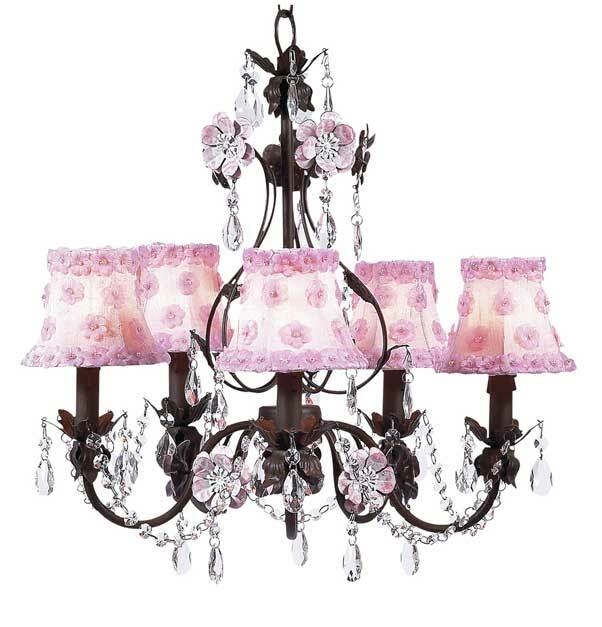 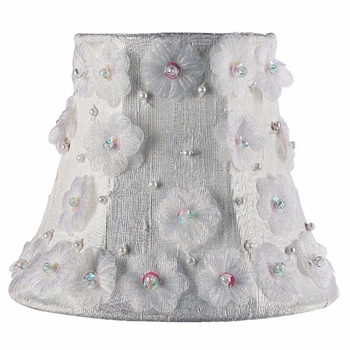 This pink petal chandelier shade is a pretty way to accent your lighting. The silk shade is scattered with pretty pink flowers. The sequin flower center adds a bit of sparkle. 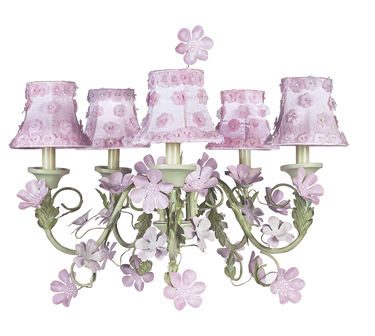 Shown above on 5 arm pink leaf and flower chandelier and mocha/pink 5 arm flower garden chandelier. 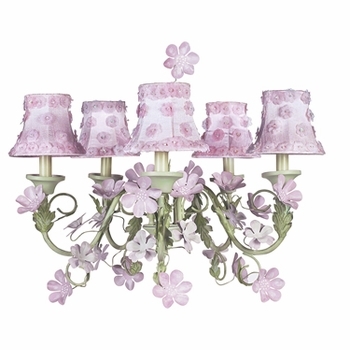 A great way to make your decor special and unique. A 25-40 watt bulb is recommended with chandelier shades. 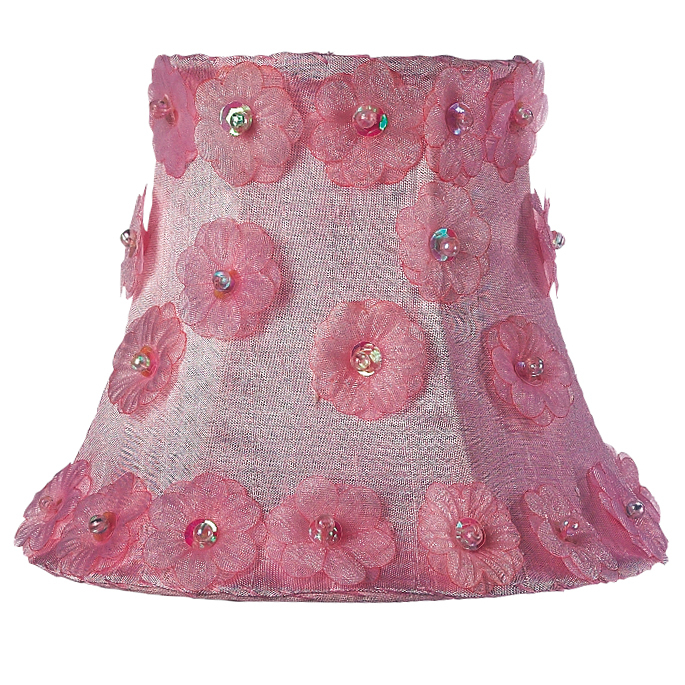 All shades are custom made to order and ship directly from the designer.